«Success will naturally follow» illustrated quotation. Inspirational, free quote pictures for Facebook, Twitter, LinkedIn, Reddit, Pinterest and other social networks. 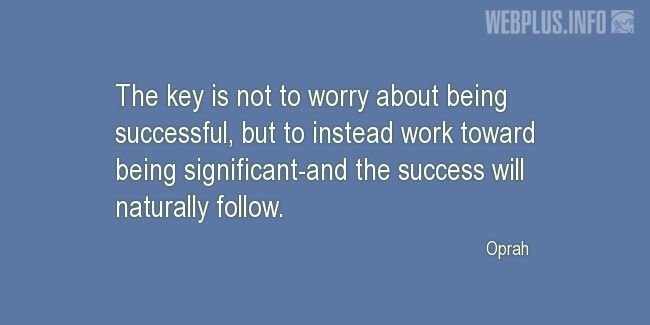 The key is not to worry about being successful, but to instead work toward being significant-and the success will naturally follow.